Tip a Cop® turns law enforcement officers into “celebrity” servers for a lunch and/or dinner meal at a restaurant. Law enforcement officers bus tables, refill beverages, and solicit donations from restaurant patrons. 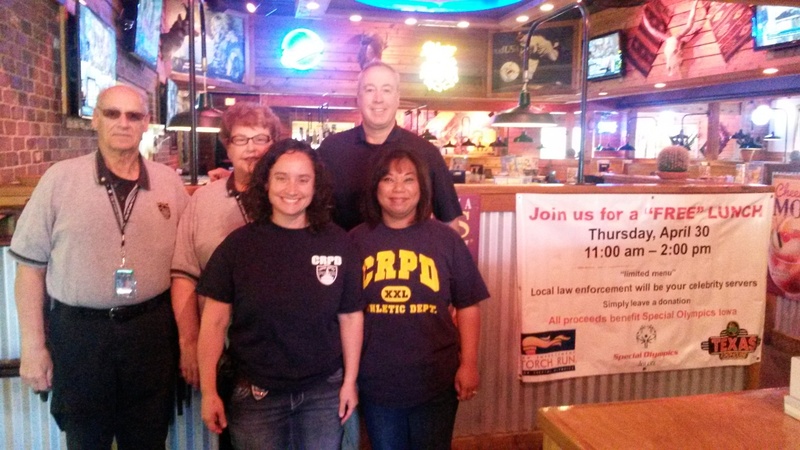 Red Robin and Texas Roadhouse restaurants across the state have continued to be valuable partners in the Tip a Cop® program. Any chain or local restaurants are encouraged to participate. Texas Roadhouse luncheon: Thursday, April 11, 2019 11 a.m. – 2 p.m.